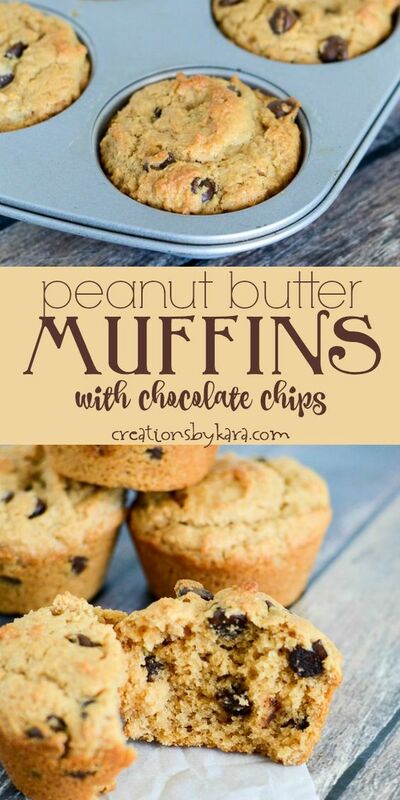 These Peanut Butter Muffins are full of chocolate chips, and have plenty of peanut butter flavor. They are simply delicious! Mix together flour, brown sugar, baking powder, and salt in a large mixing bowl. In a smaller bowl, whisk together milk, peanut butter, oil, egg, and vanilla. Add wet ingredients to dry and stir just until moistened. Fold in chocolate chips if desired. Spoon batter into twelve well greased or paper lined muffin cups.